At Abbott’s Plumbing, we realize that plumbing issues can often surface without warning. A broken toilet or sink, a leaky faucet, or even something like a garbage disposal not working are all things that can literally bring your day to a halt if you’re not able to get in touch with a plumber who will attend to the issue promptly. Since 1993, Abbott’s Plumbing has worked to build and strengthen each aspect of our company – adding to our workforce, expanding our service offerings and providing continuous training for our service professionals. Our certified plumbers deliver fast, reliable service whether the job is small or large 24 hours a day and 7 days a week. When it comes to your home’s plumbing, the experts at Abbott’s treat your home like it’s their own. Our plumbers are prompt, professional and ready to help you. When you contact us, we will send a skilled and licensed plumber to your location within the shortest possible time. All of our trucks are connected via GPS & computer dispatching systems and we keep them fully stocked with all the plumbing equipment needed to complete the job correctly the first time. This means we are able to communicate with our plumbing team efficiently and deploy them quickly to your location when you call us to fix any plumbing problem. Our personnel drive take-home work vehicles and most of them live in and around the Baltimore Metro area. Many of our employees also live in Arbutus, Glen Burnie, Belair, Joppa, White Marsh, Edgewood, Baltimore City, and Westminster so when an emergency strikes, they’re available and ready to go. 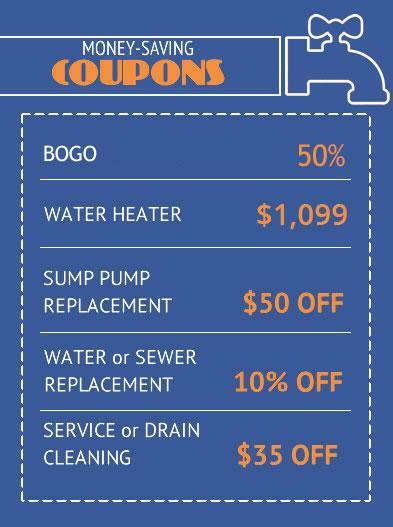 In addition, we also provide excellent plumbing services such as Camera Drains, Drain Cleaning, Gas Logs, Gas Piping, Sewer Replacement, Water Heater Replacement, Instant Water Heaters, Kitchen Remodeling, Bathroom Remodeling, Ejector Pits & Systems, In-home Estimates, Laundry Tubs, Dip Tube Replacement, Area Way Drains, Water Pipe Replacement and more. In short, we are the experts that can handle it all. Visit our Service Areas page for a list of areas our plumbers frequently service.